Edward Joseph Hanson Jr. obituary. Carnes Funeral Home. 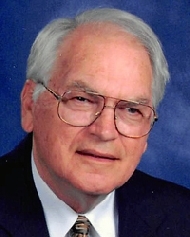 Edward J. Hanson of Santa Fe, Texas passed away at home peacefully with his wife and good friend of 50 years, Bobby Bohn at his bed side. He was born in Galveston on July 31, 1939 to Edward J. Hanson, Sr. and Catherine Warner Hanson. A proud BOI. Ed is survived by wife, Gloria Hanson of Santa Fe. TX; sons, Joel Hanson of Lake Jackson, TX, Gary Fairchild (Melanie) of Corpus Christi, TX and David Fairchild of Texas City, TX; 5 granddaughters, 2 grandsons, a great granddaughter, and 3 great-grandsons as well as many nieces, nephews, and family who loved him. Ed grew up going to St. Patrick’s Catholic Church and school, where he proudly served mass as an altar boy for Fr. Ruddy and the Ursuline nuns. He graduated in the Class of 1957 from Kirwin High School. Ed and his childhood friend, Dave Figari, went on football scholarships to SMU in Dallas, TX. He later graduated from Lamar Tech in Beaumont, TX. He retired May of 2001 after 34 years at Union Carbide in Texas City. He was a member of Our Lady of Lourdes Catholic Church of Hitchcock, TX for the last 10 years. Ed was also a member of K of C 9978, 4th Degree KC 787, Serra Club of Galveston, and was a PER of Elks Lodge 126 Galveston. Guests are invited to share in the Visitation for Ed from 9-10:00 a.m., with a 10a.m. Reciting of the Rosary followed by the Celebration of Funeral Mass at 10:30a.m. Friday, February 10th, 2017 at Our Lady of the Lourdes Catholic Church, 10114 Hwy 6, Hitchcock, TX 77563. Rite of Interment to follow at Calvary Catholic Cemetery in Galveston, TX whereFather John Kappe will be presiding. In lieu of flowers, please donate to the Shriner’s Hospital for Children in Galveston, TX.